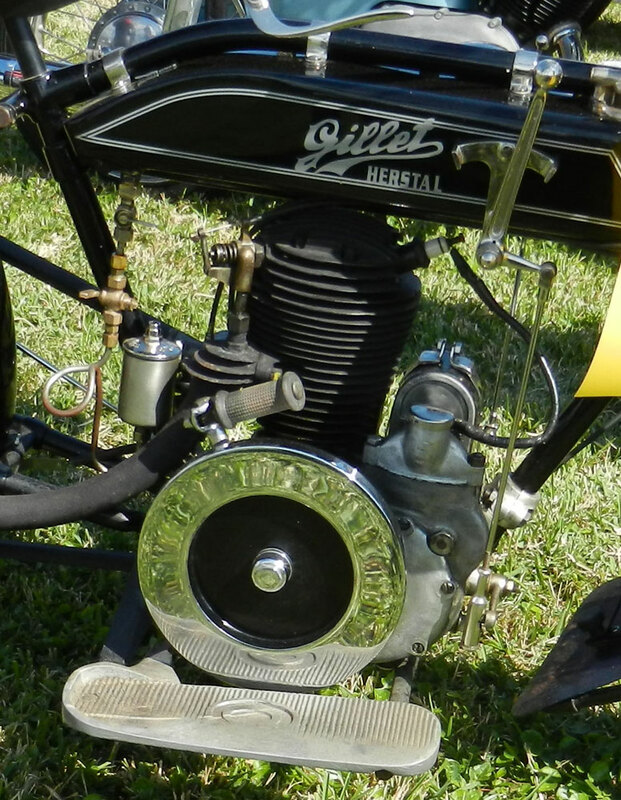 The 1922 Gillet-Herstal looks toy like but was a real motorcycle. What is it in motorcyclists (and all humans) that allows us to appreciate both the exquisitely delicate and the grotesquely muscular? One was a 1922 Gillet-Herstal, a 3.5-horsepower Belgian motorcycle so dainty it almost dares you to ride it. The other was a 1938 Ford flathead V8 motorcycle, so hulking it invites you to try to ride it, if you dare. 1938 Flathead V8 in a motorcycle, a seeming impossibility. Both motorcycles are works of art. Surprising, in a way, is that it was the slim Gillet-Herstal that was intended as an actual transportation device. 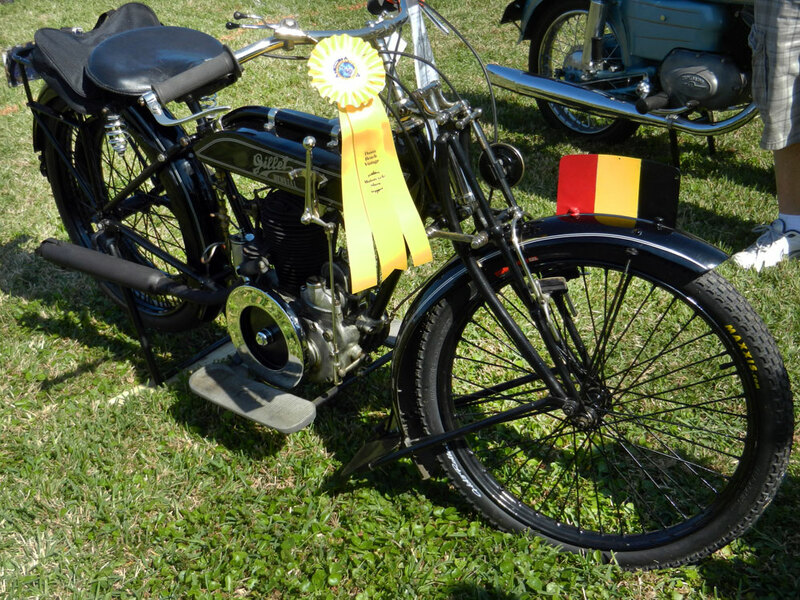 Founded in 1919, the company knew something about building motorcycles, remaining in business until 1958. Its motor bikes quickly grew into serious motorcycles, some tugging sidecars and serving with the military. 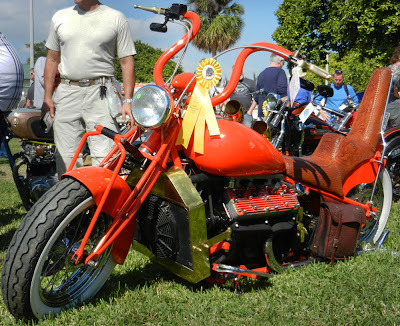 The flathead motorcycle is a one-off show bike. As one spectator commented, it's so low to the ground it can't be ridden at all unless its suspension is adjustable. Delicate ignition control on Gillet Herstal suggests using a light touch. It is the Gillet-Herstal's control levers I couldn't get over. They appear as fine as dental instruments. Meanwhile, the flathead probably doesn't need a transmission at all. Its carburetors breath through binnacles that rise through its fuel tank, steamship style! A square Model-T style radiator keeps it cool. 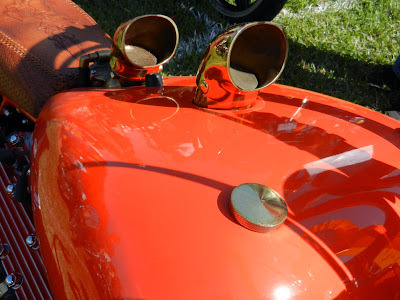 Binnacles rise through the tank to feed air to the flathead V8. Bob Campbell of Miami showed the flathead motorcycle. 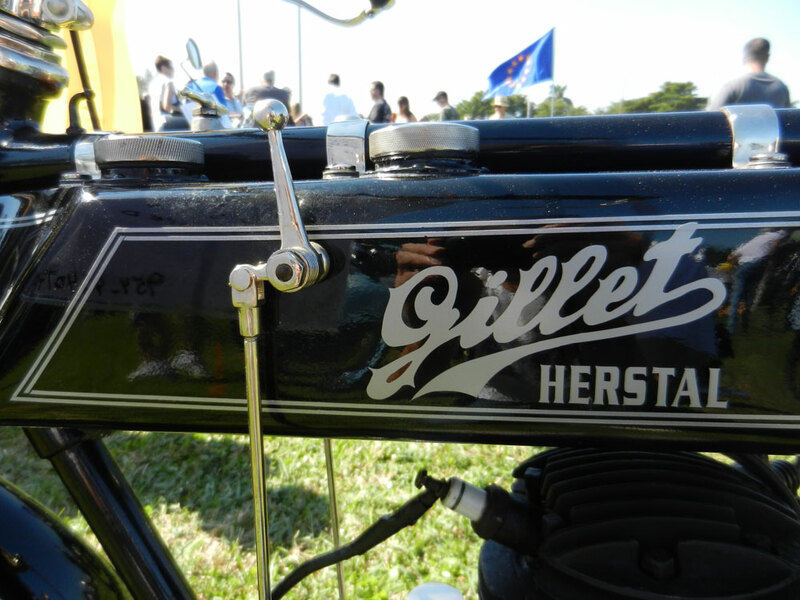 I didn't get the name of the Gillet-Herstal owner. I wonder if either owner ever rides his work of art very far? Slim two-speed gear selector on Gillet-Herstal.